In lieu of flowers memorial donations may be made to the Diabetes Association and left at the funeral home. Martin R. Edwards, age 61, of Lee’s Summit, MO, passed away Thursday, September 17, 2015. Martin “Marty” was born on November 20, 1953, in Kansas City, MO, the son of Ronald W. Edwards and Rose M. Stevens. Marty has two children: Minda Quick and Matthew Edwards. Marty graduated from Raytown High School and went on to the Marine Corps. After his discharge, he worked in the elevator industry for forty years. 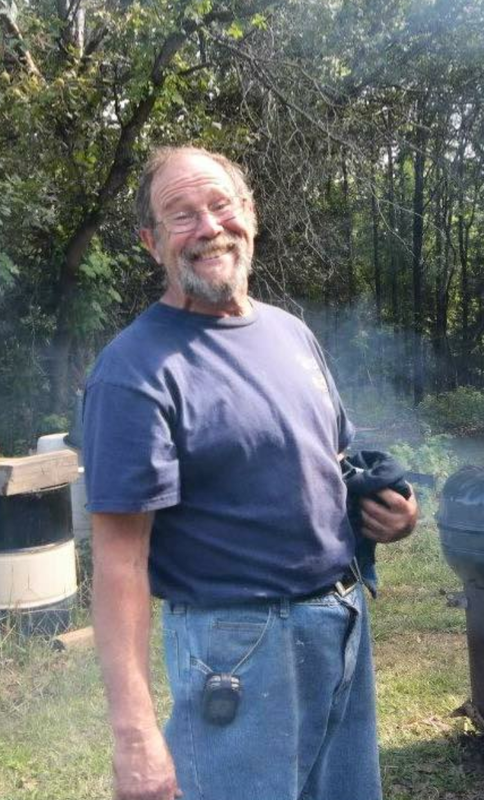 His passions included the following: skydiving, fishing, hunting with his grandchildren, racing, spending time with his family, and doing BBQ cook-offs. Preceding Marty in death were his two brothers, Billy Edwards and Doug Steele; his sister, Kathy Woody; and his nephew, Ronald Edwards. Survivors include his parents Ronald Edwards of Independence, MO, and Rose M. Current of El Dorado Springs, MO; three brothers: Ronald Edwards of Lee’s Summit, MO, Steve Edwards of Montevallo, MO, and Mark Steele of Oklahoma; two children: Minda Quick of Lee's Summit, MO, and Matthew Edwards and his wife Nicole of El Dorado Springs, MO; seven grandchildren: Calob Quick, Bobbie Quick, Dakota Winslow, Trevor Brandt, Brett Scott, Zakry Scott, and Logan Edwards; two great-grandchildren; and several nieces and nephews. Funeral services for Marty Edwards will be held on Monday, September 21, 2015, at 10:00 a.m. at Bland-Hackleman Chapel with Rev. Jack Daniel officiating. Arrangements are under the direction of Bland-Hackleman Funeral Home.